By Caitlin Dickson20 hours ago Yahoo News. Outgoing senior Obama adviser John Podesta reflected on his latest White House stint Friday, listing his favorite moments and biggest regrets from the past year. Chief among them: depriving the American people of the truth about UFOs. Following Podesta’s tweet, Friday, the Washington Post recalled an exchange one of its reporters had with Podesta in 2007. Karen Tumulty had asked Podesta about reports that the Clinton Library in Little Rock, Arkansas, had been bombarded with Freedom of Information Act Requests specifically seeking email correspondence to and from the former chief of staff including terms like “X-Files” and “Area 51.” Podesta’s response, through a spokesperson, was “The truth is out there,” the tagline for the TV show “The X-Files” of which Podesta was known to be a fan. 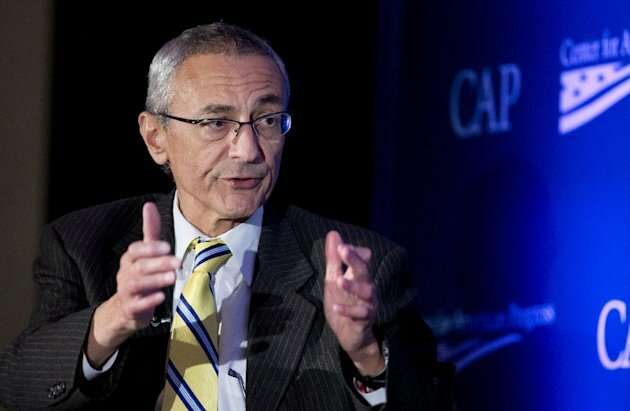 A 2010 editorial in Missouri’s Columbia Tribune disparaged reports that Podesta had asked an outspoken UFO photographer to stop discussing his knowledge of extraterrestrial activities in public. “One wonders why Podesta would do such a radical reversal, given his former plea for UFO disclosure,” the editorial implored. Unfortunately, Podesta will likely have little time to fill out FOIA requests in his new job at Hillary Clinton’s presidential campaign. Perhaps, as his tweet suggests, he’s passing the torch to New York Times columnist Maureen Dowd.